Andrea Paula Eidelman is the Executive Director of Debbie’s Dream Foundation: Curing Stomach Cancer. Eidelman brings a lifelong commitment to advocating for those in need, and has been actively involved in the South Florida community serving on boards and committees of various local medical charities. 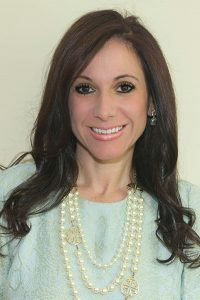 A lawyer, with a degree from St. Thomas University, Eidelman spent most of her legal career relentlessly advocating for the rights of underprivileged populations, specifically the rights of foster care children and children in need of legal representation due to abandonment, abuse, or neglect by biological parents. While at Jacksonville Area Legal Aid, Eidelman oversaw the local legal aid program, which provided legal services and representation to thousands of underprivileged residents. She went on to provide children’s advocacy at Legal Aid Services of Broward, where she headed the Permanency Project and advocated for the rights of hundreds of children in Florida’s foster care system, assisting them in obtaining permanent homes outside of the system with committed loving caregivers. In addition, she worked in the Kinship Project at Legal Aid of Broward where she collaborated with private and public partners to assist relatives in adopting and obtaining custody of children who would otherwise end up in the fate of the state’s dependency system. Eidelman’s vision as an advocate for children helped guide numerous community organizations including Kids in Distress, Harmony, Memorial Hospital, Broward Health, and Mental Health and Associates to accomplish the goals of the grant funder Children’s Services Council. In addition, she worked as a case manager for Health and Rehabilitative Services in Miami-Dade County assisting terminally ill HIV/AIDS patients in obtaining support services. Eidelman’s non-professional life has also been committed to advocating for those in need. She has served on the board of the American Lung Association and Bellas Kinship Group. Eidelman was a dedicated DDF volunteer prior to becoming its Executive Director. Born in Buenos Aires, Argentina, Eidelman grew up in Miami, Florida and is a graduate of the University of Miami. She is married to Dr. Frank Eidelman and they reside in Fort Lauderdale Florida with their cat Toby.